If you sell stuff on eBay, Craigslist, Kijiji, or in yard sales the taxman may be calling on you. Income tax is not a concern for most Canadians selling unwanted items. However, income tax may apply based on the use of the property you are selling or how often you sell items. 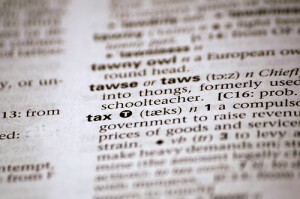 Knowing the tax rules can help you avoid interest and penalties. If you are selling unwanted household goods and the selling price is less than what you paid, then there is no capital gain to tax! (Note that you cannot claim a capital loss either – see below). There is a special category of personal property known as personal use property (PUP). Personal use property includes most items you own and hold for your own personal use (hence the name!). The category includes items such as furniture, cars, boats, art, and coin collections. Personal use property also includes your principal residence and any vacation property you own. The use of the property, rather than the property itself, determines whether it is personal use property. Most personal use property sold will not have a capital gain because the selling price is less than its cost. However, some types of property increase in value (vacation property for example). If you sell personal property for more than you paid for it, you are required to report and claim the gain as income on Schedule 3 (any loss on the sale is not allowed under Canadian tax law – See the exceptions under Listed Personal Property below). If you sold the item for less than $1,000 the price is deemed to be $1,000. There are special rules that exempt the sale of your principal residence from income tax. There is a special type of personal use property called Listed Personal Property (LPP). You also report any gains on the sale of these items Schedule 3 of your tax return. What makes listed personal property unique? If you have a capital loss on the sale of listed personal property, the loss can be used to offset other capital gains. Always remember to keep the receipts for any capital property! If you frequently garage “sail” and then flip sell the goods at another garage sale or on-line, you could be considered a business. The difference between a business and an individual selling some personal property is the intent. If you frequently flip goods you purchase, you may be a business. The bad news about being a business is that 100% of all gains are included in your income. The good news is that losses are 100% claimable and you can deduct other expenses incurred to run your business. If you’re not sure if you would be considered a business, it’s best to get some help. Previous post: How Do You Know You Need It?